For two-and-a-half years American journalist and mother of triplets, Martha Sugalski has been documenting a story like no other – one that will melt your heart and make you smile. After spending years covering hard news from around the world, the Emmy-nominated journalist’s latest story showcases the unlikely friendship between her three children and her garbage bin collectors. And it is as intriguing as it is adorable. To anyone who believes that adults and kids cannot be friends we are here to say that’s rubbish. 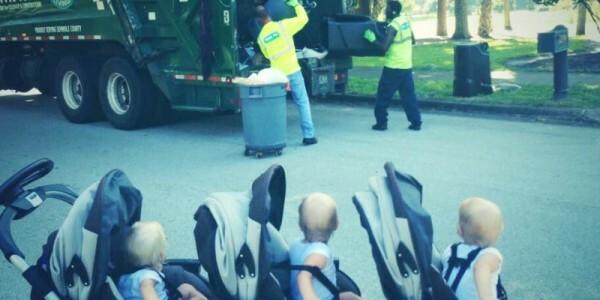 And the proof is in these photos and videos of triplets Holden, Wilder and Heaton and their best mates – the garbage men. 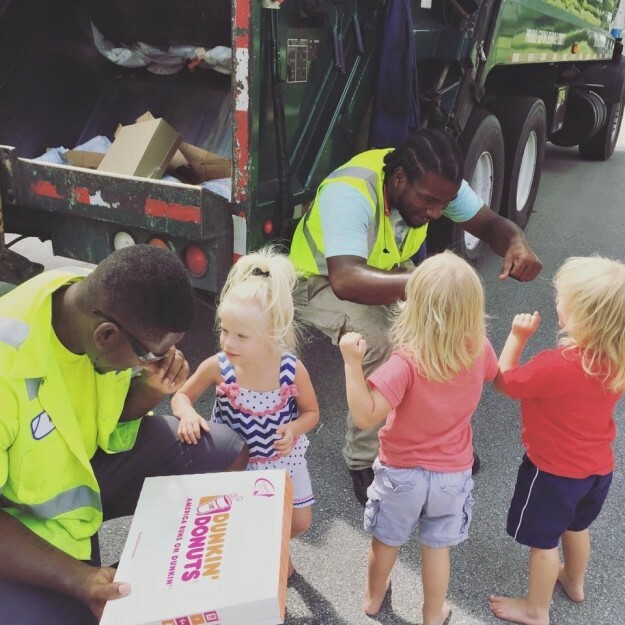 What started as a typical fascination with the garbage truck has moulded into a beautiful friendship between the triplets and Andrew Black, Rob Whitmore and Chad Cover. 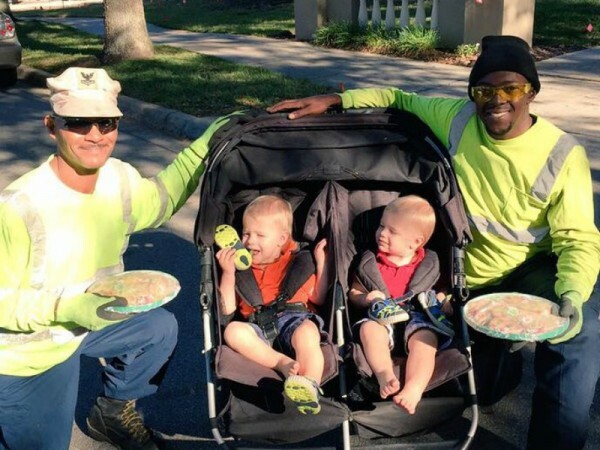 The Florida garbage men first came into contact with the triplets when the then-two-month-olds were out for a stroll with their mum. 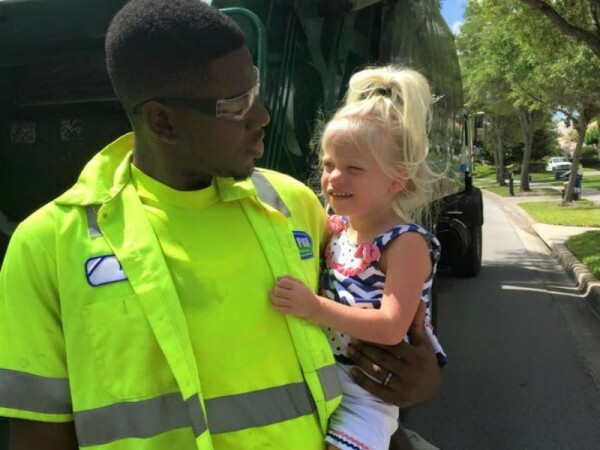 After several months of the triplets waving and the men beeping the truck’s horn, Andrew eventually stopped the truck and said hello to the babies. Now “Garb Day,” as the triplets call it, is one of the most-looked-forward to parts of the week when the three men come and visit their favourite fans. The boys stop and chat to the family for 15 to 20 minutes and the triplets prepare snacks and drinks, including Gatorade and doughnuts, for their working mates. Martha documents the weekly exploits on her Facebook page and she has several photos and videos of her adorable trio cuddling and interacting with their friends. "Garb" day is almost here – the snicker doodles were so excited to see their friends on Tuesday!!! Reserved Holden has especially benefited from the friendship with Mr Rob, as she calls him. “She’s always the last one to come running down the driveway, but she goes straight to Mr Rob every single time,” Martha says. The men say spending time with the triplets twice a week is something they always look forward to. 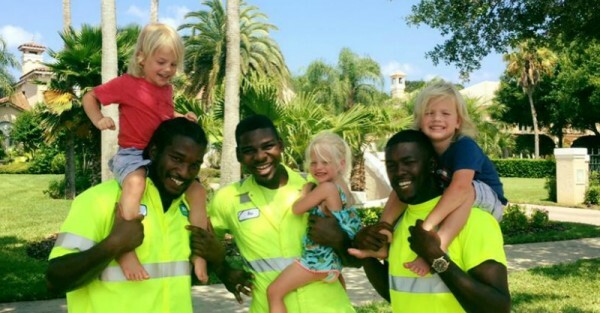 Even though Andrew has been off work due to an injury, he still visits the triplets whenever he can. Holden, Wilder and Heaton may still be toddlers, but they already have learned an invaluable life lesson – friends are forever. And, with caring men like Andrew, Rob and Chad as their best mates, we are sure this story will continue to evolve. You can follow their bin adventures through Martha Sugalski’s Facebook page.